Modern Brooklyn Apartments in the heart of Fort Greene. A full-service amenity package features a state-of-the-art fitness center and yoga studio, vibrant resident lounge and terrace overlooking historic Fort Greene Park. Welcome to where the charm and comfort of Fort Greene meets the energy and connectivity of downtown Brooklyn. Floor-to-ceiling windows invite the day’s sunlight to illuminate expansive floor plans outfitted with custom kitchens, oversized closets and luxurious baths. Oversized windows, wide-plank wood flooring, and 9-to-11-foot ceilings combine to create an open loft vibe. Bosch stackable washers & dryers are in most units. Some homes feature private outdoor terraces with spectacular city and water views. Caesarstone countertops with clear Glacier backsplashes surround flush-panel kitchen cabinets. Polished chrome fixtures, Kitchen Aid & GE stainless steel refrigerators, Jenn-Air stoves and top-of-the-line microwaves and dishwashers complete the space. Plush European fixtures with wooden sink fittings accent spacious bathrooms outfitted with a standing shower or bathtub. Stroll down the vibrant neighborhood’s picturesque brownstone-lined streets to visit your favorite local café, farmer’s market or shop. Immerse yourself in the culture and convenience of downtown Brooklyn, or ride the subway one stop to Manhattan to experience all the city has to offer. A thriving arts community, Fort Greene is home to the Brooklyn Cultural District. Experience a groundbreaking performance at BAM (the Brooklyn Academy of Music), see a cultural exhibition at BRIC Media, take in a Shakespearean play at TFANA or create an original work at UrbanGlass. Barclays Center, Brooklyn’s world-class sports and entertainment arena, is a short walk away. At home at DKLB BKLN, you’re a short walk or train ride away from anywhere in the city. Take a stroll with friends to explore City Point, Brooklyn’s largest food, shopping and entertainment destination, or jump on one of the nearby 11 subway lines to start your next adventure. 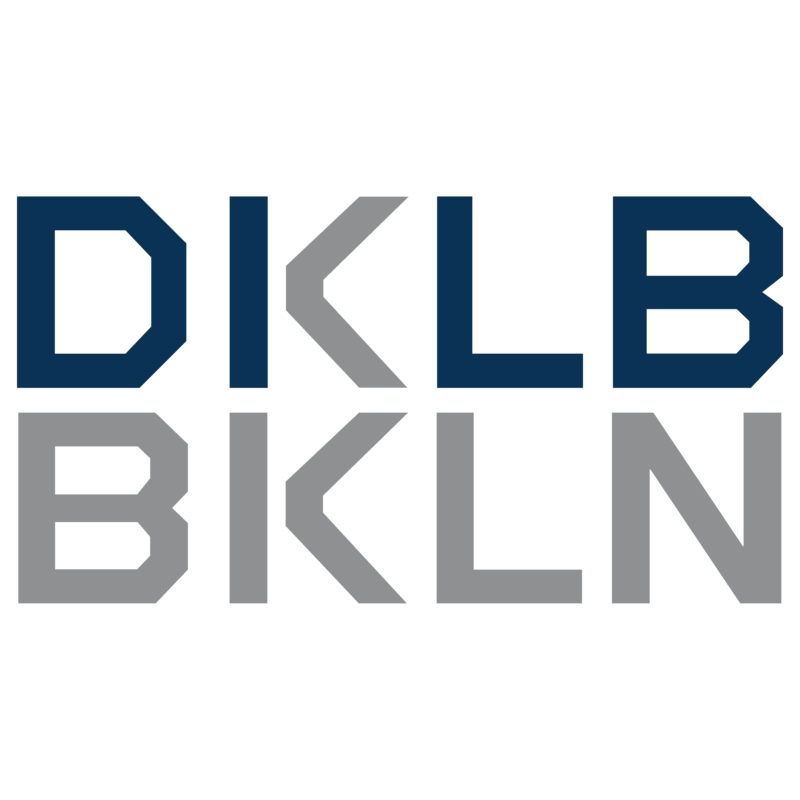 Designed by noted architect Costas Kondylis, DKLB BKLN's stunning glass and metal façade signal a new standard of living in the heart of Brooklyn. Need something now? Reach out to us.